November 15, 2017 Contact Author	Ivana S. Veljkovic, Ph.D.
5Exfoliation Conundrum: Peel or to Microderm? The human epidermal stratum corneum is critical to healthy skin function. This outermost layer of the skin is optimal in its ability to retain moisture and protect from external offenders when its thickness remains constant. To maintain this favorable thickness, the complex biological process of desquamation works to remove flattened, dead surface corneocytes at the same rate that new corneocytes are forming below the skin’s surface. This intricate process, which can be visibly seen on the skin in the form of peeling or on a cellular level that cannot be seen, involves hydration, enzymes and many other substances and actions. With age, certain skin conditions, medications, pollution and lifestyle choices, this delicately balanced process can be easily disrupted, which can lead to dry, dull skin and the exacerbation of conditions such as acne, rosacea and sensitive skin. Severe dysfunction of the desquamation process can lead to a dry, thickened and impacted stratum corneum. 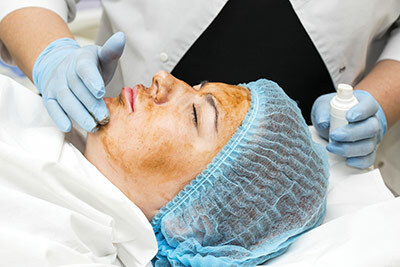 When this process has stalled, a variety of exfoliation methods can be employed to bring the skin back into balance, including traditional chemical acid peels, retinoid treatments and the use of proteolytic enzymes on a regular basis. Regular superficial chemical peels are an excellent method for keeping the stratum corneum healthy and functioning optimally. Some examples are alpha hydroxy acids (AHA), beta hydroxy acids (BHA), trichloroacetic acid (TCA) and Jessner’s solution. Depending on the acids used, the mechanisms of action vary. Hydroxy acids. AHA and BHA work by dissolving the desmosomes that hold together the skin cells, allowing for them to be more easily shed. TCA. A chemical cauterant that causes controlled ablation of defined skin layers, TCA induces an even and tight skin tone as a result of the removal of superficial skin and the regeneration process that follows. Acid blends. Some solutions available are blends of acids with different mechanisms of action, which provides an opportunity to use lower and safer percentages of each acid, while keeping the total acid content of the peel higher. The Jessner’s solution is a great example of this. This chemical peel blends 14% lactic acid, 14% salicylic acid, 14% resorcinol and 50% denatured alcohol. Superficial peels performed at regular intervals can be an excellent choice for keeping the desquamation process balanced and the stratum corneum at its ideal thickness for the maintenance of skin moisture levels. Whichever acid or blend of acids chosen, the solution is applied to destroy specific skin layers, which are spontaneously eliminated over a period of several days. The repair mechanisms of the epidermis and dermis are subsequently induced, leading to a thickening of the viable epidermis and a thinning of excess stratum corneum corneocytes. Even when the penetration of the particular peeling agent is limited to the upper epidermis, it is still able to stimulate regeneration of the dermal extracellular matrix via cellular signaling pathways. The expected histological changes from an acid chemical peel are initial inflammation that induces skin healing. This allows for the regeneration and remodeling of the skin’s layers to take place, initiating peeling about two to four days post-treatment. This peeling process is also responsible for new, healthy keratinocytes being formed to replace abnormal cells. In addition to encouraging desquamation, skin discoloration is improved due to the reduction of the number of melanin granules present in the epidermis. In the dermis, inflammation stimulates synthesis of new collagen type I and IV, as well as increased elastin and glycosaminoglycan (GAG) content. The collagen and matrix remodeling occurs in the weeks post-treatment, which is responsible for the improved texture of the skin after peeling. The end result of these histological changes is an increased volume of tissue, which tightens the superficial skin layers and leads to an improvement of fine lines and wrinkles, and a correction of the skin’s surface, skin tone, pigment and texture. One well-studied benefit of topical retinoids (vitamin A) is their ability to create a more organized, denser epidermis and stratum corneum. This works to regulate desquamation and keep the stratum corneum at its ideal thickness. There are a variety of retinoids that are used for peeling: vitamin A derivatives that are usually esters or beta-carotene, retinoic acid and retinol. Their mechanism of action is based on retinoic acid’s ability to modulate gene expression by binding to molecular receptors and then to specific DNA segments. Retinoids are also able to regulate genes involved in the increased synthesis and concentration of hyaluronate and collagen, and genes that reduce the degradation of essential elements to proper skin function. Retinoids are powerful agents to modulate cellular differentiation and proliferation. The visible exfoliation that is seen post-retinol peel is a side effect of retinoid dermatitis and not due to the chemical removal of defined skin layers as it is with chemical agents. Retinoic acid is the physiologically active molecule of vitamin A. If esters or retinol are used, they are converted to retinoic acid in the skin. The retinol esters are converted to retinol, which is then converted to retinaldehyde and then finally to retinoic acid. The fewer steps the molecule needs to go through in the conversion process, the more powerful the ingredient. The results are generally faster and more noticeable, but irritation is also more likely. Retinoids are non-caustic chemical substances that are typically cream formulations and applied to ultimately get converted to retinoid acid (RA) to induce change in the skin and normalize desquamation. The peeling seen post-retinoid peel is dependent on the skin type of the client, the specific form of vitamin A used and its concentration. In the days following treatment, retinoid dermatitis may occur, which presents as peeling. This peeling is similar in appearance to that induced by caustic peeling agent, but has different causes. The histological changes seen post-retinoid peel are: thinning and compaction of the stratum corneum; thickening and remodeling of viable epidermis; compaction of the epidermal-dermal junction; dispersion and reduction of melanin granules; stimulation of fibroblasts including increase in new collagen synthesis and a reduction of matrix metalloproteinases (MMPs). The characteristics of retinoid-specific dermatitis are erythema, scaling, dryness, pruritus and burning. The scaling and peeling seen due to retinoid peeling are a result of epidermal hyperprofileration mediated by RA receptor signaling and RA regulated expression of corneodesmosomal components. The desmosomes responsible for holding skin cells together are reduced and even disintegrated. Some topical treatment products contain the same category of enzymes that are naturally present in the skin and are a critical part of regulating desquamation. Some of these are papain from papaya fruit and bromelain from pineapple. By introducing these proteolytic enzymes topically, desquamation is encouraged and the impacted corneocytes are removed. Because of their gentle mechanism of action, many of the enzyme products available are safe to be used at home and likely will not result in visible peeling. Regular use of proteolytic enzyme topicals work to return the stratum corneum back to normal function and support ongoing healthy desquamation. Impeded desquamation is an expected outcome of aging and climate, even for those that do not suffer from diseases that would disrupt the process. Using any of the above-mentioned strategies can help support and maintain healthy skin desquamation and keep the skin moisture levels intact. A secondary benefit of actively maintaining proper desquamation is the ability for other skin-improving formulas to penetrate the skin better, enhancing not only the effects of these professional treatments, but also progressing each person’s individual skin goals. The long-term result is improved overall skin function and anti-aging. Retinoid peels assist in inducing change in the skin, regulate desquamation and keep the stratum corneum at an ideal thickness. 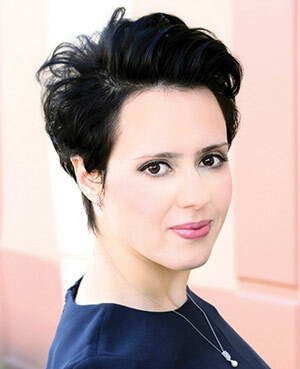 Ivana S. Veljkovic, Ph.D., serves as the vice president of Research & Development for PCA Skin, driving the company’s product development and testing. She is also responsible for international regulatory compliance and quality control.